Other than enhancing your space, hardscapes serve many benefits and purposes to your home! We know adding a hardscape can be a big decision, but the numbers do not lie! A hardscape design that is executed and installed properly can increase your home’s curb appeal and up it’s value in one swoop! Not only are you adding a beautiful design that will enhance the outside look of your home for years to come, but you are adding usable square footage and outdoor living space for your family and future buyers as well! By adding a hardscape to your space, you can create an indoor – outdoor living lifestyle for your home. 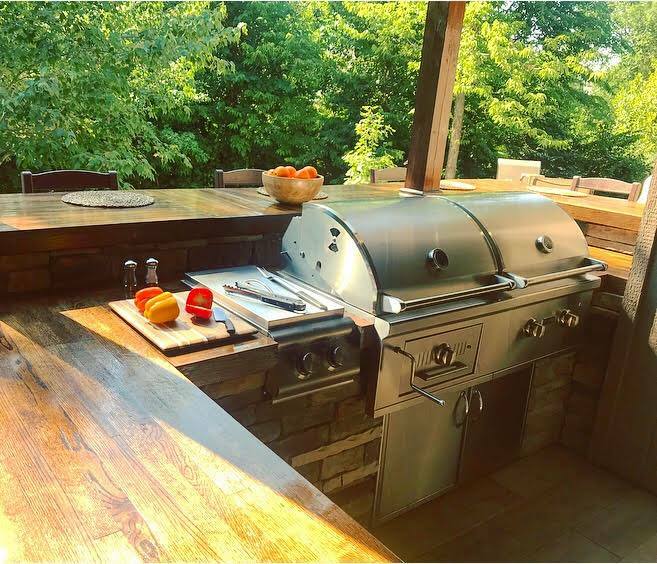 You can add everything from a Fireplace to literally the kitchen sink with an Outdoor Kitchen! 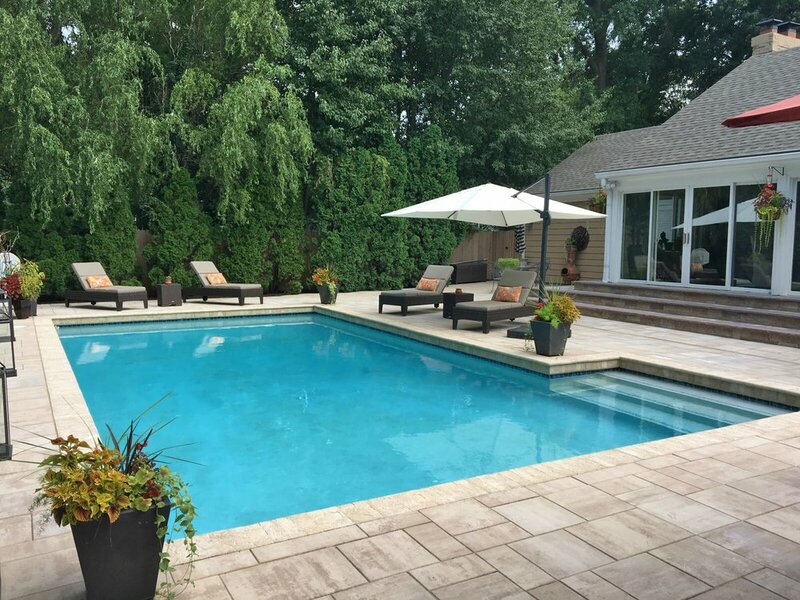 With adding a hardscape and giving your home that indoor - outdoor living lifestyle, you are able to extend your outdoor living lifestyle throughout the year. 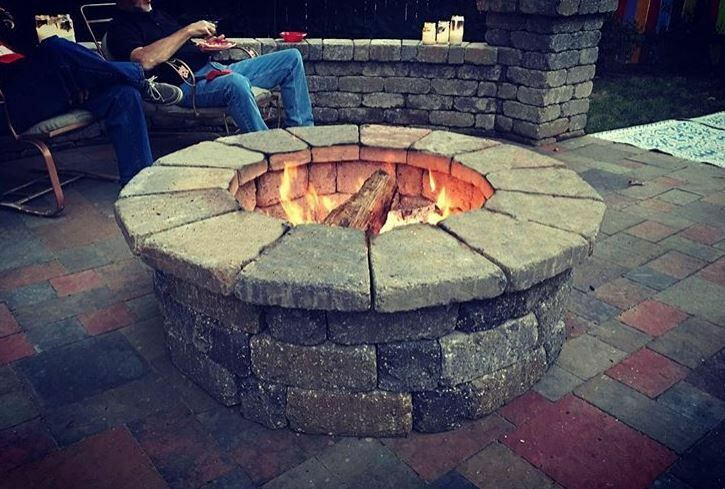 This can especially be done by adding a fire element to your hardscape such as a Fireplace or Fire Pit that will allow you to enjoy your hardscape even in the colder seasons of the year! There are lots of ways you can add division, privacy and shade to your space with a hardscape area. One great way is by adding a pergola not only to block out the sun and provide shade, but there are many great pergola designs that also allow you to give your space the added privacy from noise, neighbors, and other unwanted distractions or even help divide up the space and define certain areas of your hardscape! 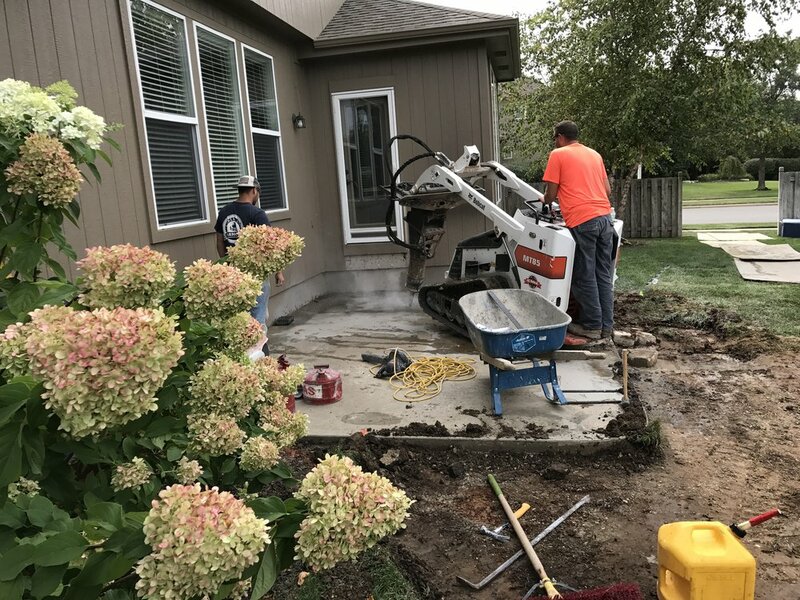 Lastly, one of the more prominent reasons that many people put in a new hardscape design, is with the intention to fix any yard or landscape issues that their home may have originally had. For example, a drainage problem, a uneven hill or slope in the yard, possibly even just creating some curb appeal and creating some flower beds on the front and side of your home, this all can be fixed with hardscape designs. Including retaining walls, terraces, patios, whatever the solution may be – the possibilities are endless! You can go as little as simply fixing your issue to going as grand as fixing your issue and also putting in a design that gives your home more usability and living space! Whatever you like, there is a hardscape solution to for any problem! 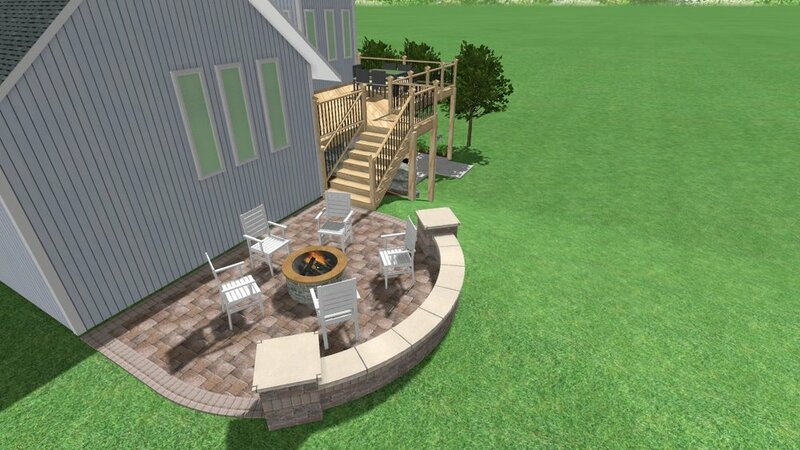 As we move into the winter seasons, we realize that very soon it is not going to feel like patio season anymore. Before we know it, everyone will be focused on visiting with out of town family and friends, keeping up with the holiday season festivities, and making plans to reign in the new year. With that said, we know that hardscaping and construction are among the last things on your to do list or things that you even want to think about, let alone have done at your home during the holiday season—and we completely understand that! No one wants a construction zone during their family reunion or during all of the logistical chaos and endless to-do lists that ensue us all over the holidays. However, we would like to share that our schedule and project queue flow on a slightly different schedule than many may realize. While our company does work all year round, unlike some other hardscape and landscape companies, we have a major timeline already in play for the existing and upcoming year. Booking a project with us now, does not mean that we will be there tomorrow showing up at your door ready to work. Booking now means that you are booking your spot for us to get started in mid March—nearly four months ahead and already into early spring. Given, our projects on average typically take between two weeks to a month to complete depending on the size and scope of the project, making the project completed date between late spring through mid-summer. 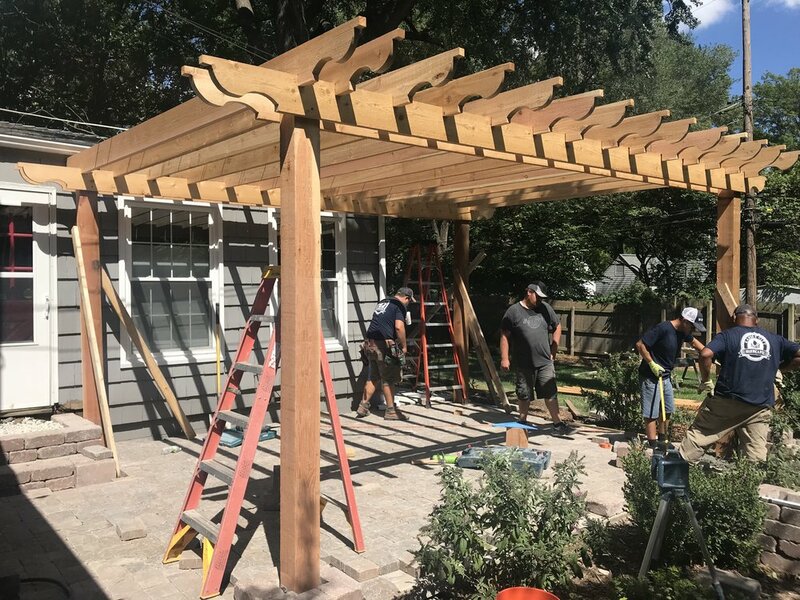 In some instances, some projects, like small pergolas, can be squeezed into our schedule, but usually, you are looking at that two week to a month time frame for most projects. 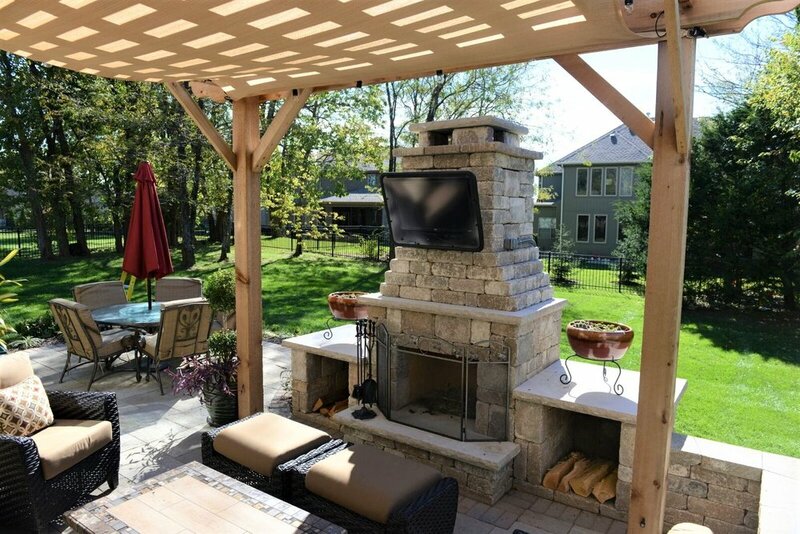 With that said, if you have an upcoming project in mind that you were hoping to enjoy this summer, whether it be a new pergola, patio, outdoor kitchen, fire pit, fireplace, grilling station, or combination — whatever it may be — there’s not a moment to lose if you are needing it by the summer season! So give us a call to chat more about how to get your process started! We are more than happy to answer any questions you have and help you get started anyway we can! The first big step of the process is to book your estimate appointment and get your design and quote going, then all you have to do is accept the quote, sign papers, and choose us to get your spot booked on our timeline. We can do that long before the busy time of the season really hits! 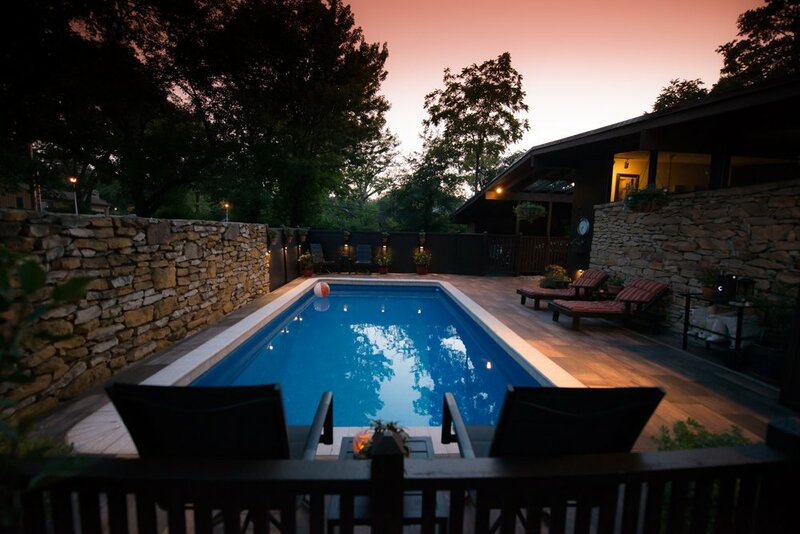 That way you can relax and enjoy your holiday season at ease knowing your project is taken care of and will be ready to go for you in the spring or summer of the new year! Unplug and Reconnect with Others and the Outdoors! Don’t forget to make time to recharge — and we don’t mean your electronics. While spring is the perfect time for rebirth and renewal, we like to think that fall is the perfect time to recharge and reconnect with nature and those around us. As we know, in our busy lives we can get so caught up in what is going on online and on social media, that we sometimes forget to make the time to reconnect to ourselves, to our passions, and with those around us! One great way to do this is by being outside and getting back to nature. It can be a refreshing break from all the technology and it can be the perfect way to give yourself a little reset and give your mind some much needed rest. But who says you have to do it alone? Take your family, take a friend, take your pet — take anyone you like — on this unplug challenge. Go and take new adventures, create new traditions, and make lifelong memories with those that mean the most to you! 1. Build a fire and hang out with friends! 2. Have a game night or tailgate party by the glow of the fire! Pull out the yard games or Play a game of touch football! 3. Grill or Roast veggies together outside for a tasty side or snack! 4. Host a holiday gathering with family on the patio! 6. Harvest your outdoor garden or trim your flowers to make a Fall bouquet! 7. Host an outdoor dinner party with old friends! 9. Roast marshmallows on the fire or carve pumpkins on the patio with some hot apple cider! 10. Give Back to Someone in Need! Having a outdoor space that fits your passions and needs can help you and your family unplug from the technology and reconnect with the outdoors and more importantly, each other! Not only this fall but all year long! Don’t take our word for it though — Ditch the phones, get outside, and see for yourself! Special thanks to HGTV.com, julieblanner.com, and www.bettycrocker.com for the Fall Fun Ideas! The KC Homes & Style October Issue is here! We are so excited to be collaborating again with KC Homes & Style, in the new article in their October Issue, Heart of the Backyard, written by Ann Butenas. In the article, one of our owners, Derek Nadler, talks about a beautiful fireplace project we completed for a client and why everyone should consider putting in a fire element into their fall backyard space. Other than bringing warmth to the space, fire elements create amazing, showstopping features, can have many additional add-on’s for both function and design, cooking elements, and of course are a focal point and wonderful pastime for both entertaining and also for relaxing with the family! Want more? Read the full article here at this link below or on KC Homes and Styles Magazine website! 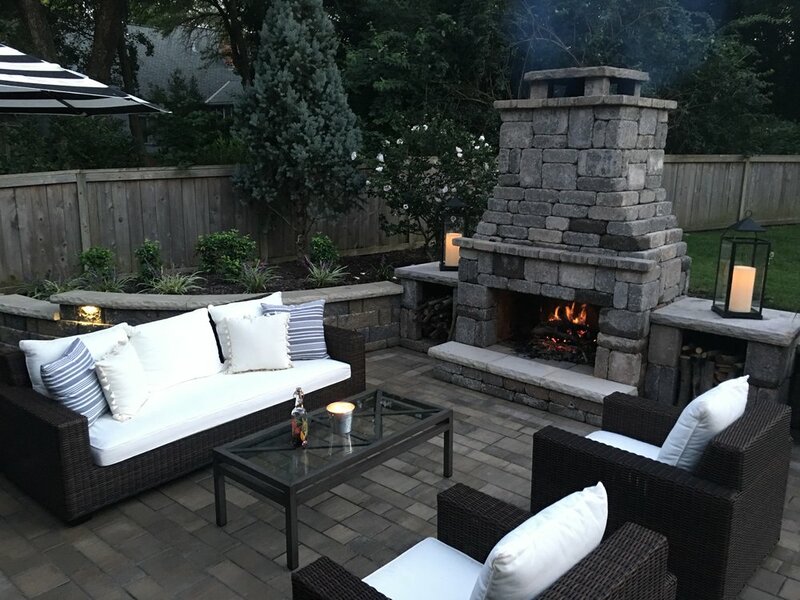 See more of this space and get more inspiring fire element ideas for your backyard space on our social media channels below! Special Thanks to Kansas City Homes & Style Magazine and Ann Butenas for the article and to Matthew Anderson for the imagery within the article!